We might be relieved if God placed our sanctification only in the hands of trained professionals, but that is not his plan. Instead, through the ministry of every part of the body, the whole church will mature in Christ. 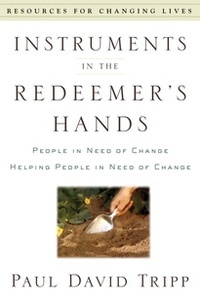 Paul David Tripp helps us discover where change is needed in our own lives and the lives of others. Following the example of Jesus, Tripp reveals how to get to know people, and how to lovingly speak truth to them.